CEDAR CITY — More than 4,500 students, faculty and staff from Southern Utah University celebrated the National Park Service Centennial Aug. 25. 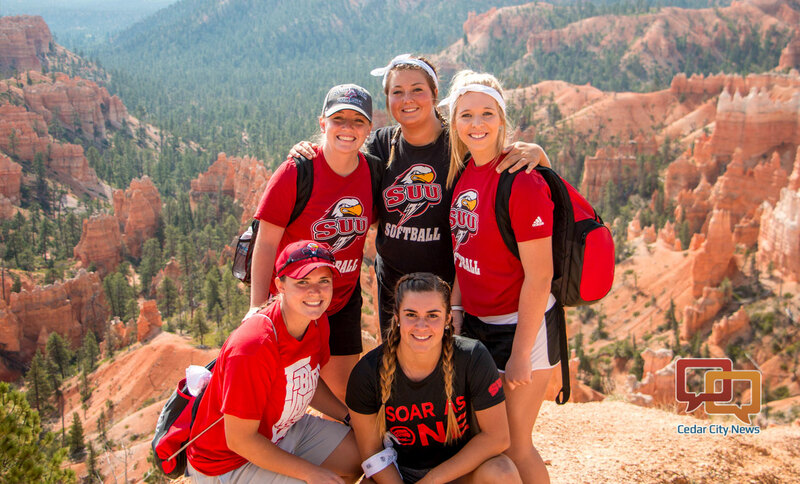 Classes were suspended on that day for “SUU Day in the Parks,” which encouraged the university community to actively engage and explore the amazing parks and recreational areas surrounding campus. 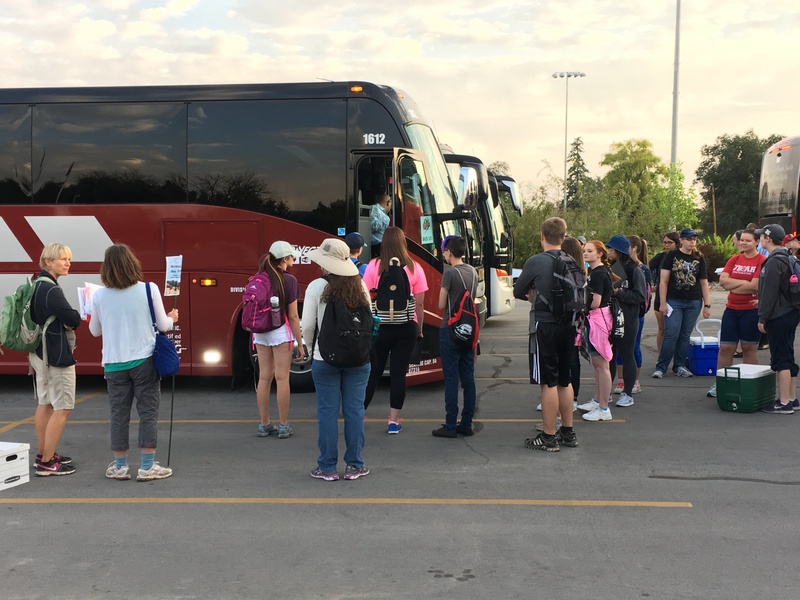 One hundred free university-sponsored experiences were offered with 40 buses and vans taking participants to national and state Parks all over Utah, Arizona and Nevada. Activities included educational research in Bryce Canyon National Park, caving in Great Basin National Park, hiking in Zion National Park, wilderness medicine in Brian Head, poetry writing in Kolob, painting in Cedar Breaks National Monument, mountain biking at Three Peaks Recreational Area and exploring the Grand Canyon. Watch the video top of this report. Additional activities included rock climbing, kayaking, rappelling, service projects, documentary film production and stargazing. 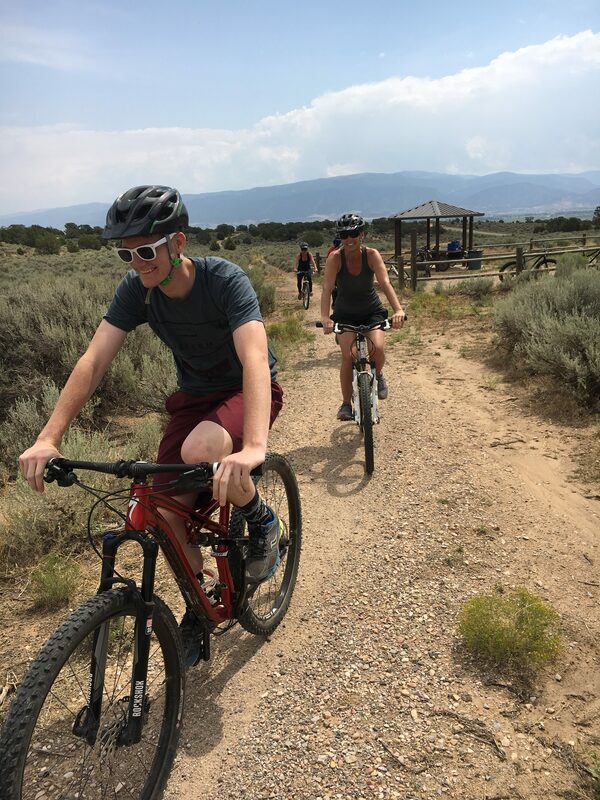 SUU Outdoors led several local trips to nearby climbing, rappelling and mountain biking areas. Rob Myers, director of outdoor recreation, said the mission of his department is to inspire meaningful adventures. McKena Harvey, a senior majoring in outdoor recreation and a student employee with SUU Outdoors, was excited to participate and even lead a couple groups. Dr. Kyle Bishop, SUU honors program director, organized a trip to Great Basin National Park to tour the Lehman Caves. The universitywide field trip was possible due to the many partnership SUU has with the local land management agencies including the National Park Service, Forest Service, Department of Natural Resources, Bureau of Land Management and several Cedar City businesses. The event was also sponsored by Findlay Subaru. Southern Utah University (1897) evolved from a teacher training institution to Utah’s designated public liberal arts and sciences university, offering over 140 undergraduate programs and ten master’s degrees. With world class project based learning, unique undergraduate research opportunities, and a personalized learning environment (18:1) students lead projects mentored by professors. True to the University’s core vision, SUU faculty, staff and administrators enable students to honor thought in all its finest forms, achieve excellence in their chosen field, and create positive change in the world.